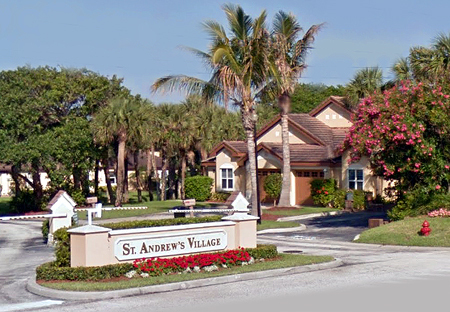 St Andrews Village in Melbourne Beach is an attractive one street gated community featuring small single family homes, duplexes and lowrise riverfront condos. Amenities include a private beach access, community pool and community fishing pier. This is an ideal neighborhood for a second home. 7.4 miles south of Driftwood Plaza (Publix). St Andrews Village of Melbourne Beach is located in the lower south beaches. 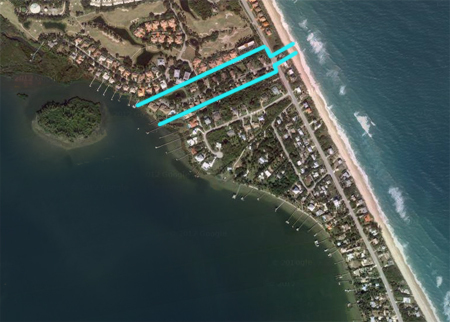 Enter community from Highway A1A via gated Caledonia Drive. Info: Landscaped gated entry, nicely maintained, etc. 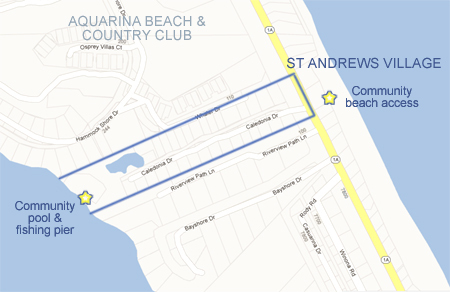 Beaches: St Andrews Village features a deeded beach access across from the community entrance.